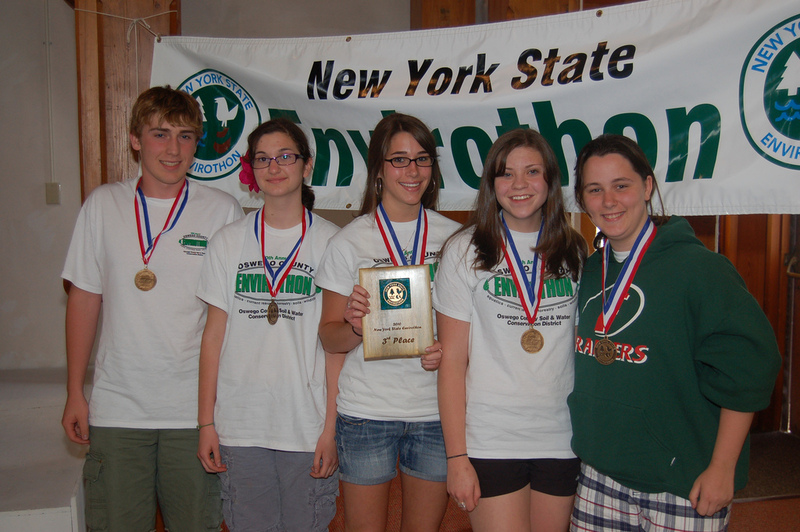 The G. Ray Bodley High School Envirothon team, with its third place medals. From left, Joshua Strauss, Maddy Clark, Morgan Stafford, Jenna Doherty and Amanda Trombly. 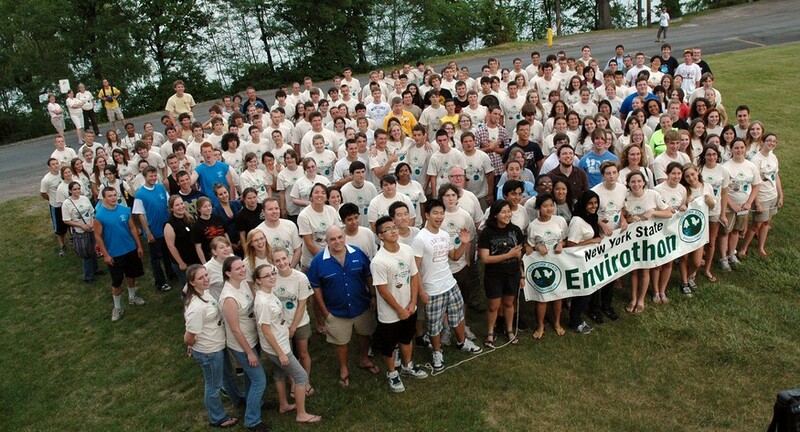 Photo courtesy of the State Envirothon, via its Flickr account. G. Ray Bodley High School’s first team pulled off a strong showing at last week’s state Envirothon meet at Keuka College, earning third place. The team’s score of 402.67 was one point ahead of fourth place finisher Chittenango High School, Madison County’s representative. Skaneateles High School took second place and Candor High School, representing Tioga County, earned the gold medal for the sixth year in a row, with a score of 444.67. 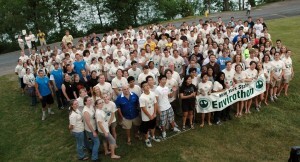 The teams in the New York State Envirothon, gathered for a group photo. Photo courtesy of the State Envirothon, via its Flickr account. The Fulton team of Amanda Trombly, Joshua Strauss, Morgan Stafford, Jenna Doherty, and Maddy Clark pulled off the team’s highest marks in the oral presentation, where their score of 98.67 was best among the 51 teams and provided the boost to give the team its third place finish. The team earned its trip to the state finals by winning the countywide Envirothon on May 7. The Envirothon is sponsored by the New York State Soil and Water Conservation District.Â The event’s goal is to test students’ knowledge of natural resource issues in the state, according to the event’s website.Â In addition to the oral presentation, students tackle hands-on tasks in five categories, racing against the clock to complete them.